And I was stressed and none of us really managed. As I shared before, I am re-using my Sonlight curriculums. In fact, I am and will re-use most of my bought full packages. I have used and re-used Kindergarten Introduction to World History, Core 1 & 2 World History, Core 3 & 4 American History packages. Sonlight packages are FANTASTIC! Their readers, read aloud books and core books are wonderfully selected and perfectly scheduled to overlap and cover history through literature. If you can afford it, I would highly recommend the full packages! They are a real investment. As I re-used my Sonlight cores, I have taken a different approach. May I share how my approach and methods have changed? I try to place as many children on the same core as possible. Homeschooling through literature is a journey best shared with the entire family. Especially when you read aloud, all the children end up listening anyway. There are some years where combining all the children on one core is not possible, but try avoid buying different cores for each child – there is simply too much to read and cover with each child. I am led by my children’s ages and stages. My children follow their own Maths grade, spelling, handwriting and phonics programs. I try to ease the younger child along the program, realizing that she may not get the full picture, but she is learning along with the rest and enjoys the hands-on activities and lapbooks we cover. Who knows, I may re-use parts of the package with her again later? This year I am pushing my middle schooler. I want her to maximize her learning and develop her skills everyday. In the past, she may have cruised a little, but now I focus on her pace and keep her motivated and focused. Follow the schedule at a pace that suits my family. My first years of homeschooling, I ticked all the boxes. You see, Sonlight is so organized that all you do is open the schedule and start the work. I was devoted to the schedule. I dreaded “falling behind” and I would strive to do everything every day. It was simply exhausting. Now, I follow the theme. If a sub-theme or topic catches our attention, we deviate. We take side paths. I don’t mind how long the program will take. In fact, I usually spread a 12 month schedule over 18 months so that I can stretch it to the max! And why not? It is all paid for, it is all there. I want us all to enjoy it. I try savour the moments. I try not to rush and cut things short. I am not trying to fill my kids with information. I want to ignite their hearts, fuel their love to learn and develop their characters. I add new activities to the core where and when I can. I realize that my kids may be familiar with the books, stories and some facts as I reuse the curriculum, but they were so much younger when they first heard it. Yes, they may know some things, but when we cover the themes this time, they learn new information and understand concepts better. I look for some new hands-on activities, create new history notebook pages, find plays, lapbooks and internet resources to give the core a completely updated version. My children really love to notebook their narrations. They also enjoy some lapbooks. I didn’t even know about these activities when I started homeschooling my children. Surely, if I re-use any core a 3rd time, I’m sure I would do it differently … I’m growing and learning [smile] and I still discover new techniques and approaches. I prayerfully apply more of Charlotte Mason’s principles as I go along. 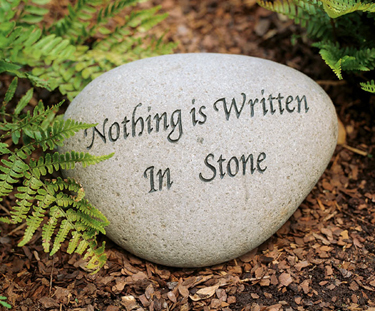 Nothing is cast in stone. I hope that my sharing encourages you as you plan your new year. I am now down to one son who will begin 4th grade in the fall. We have used Sonlight with him and love it. When we finished this year I was sad because there was so much material that we didn’t cover in depth. So this summer we are reading books on the War of 1812, The Alamo, The Oregon Trail, etc. I kept thinking we’d cover it, but I’m schedule driven when I use Sonlight like you mentioned. Thanks for sharing this. Now I have a little more incentive. Thanks for posting this. I am new to homeschooling. Was debating getting the readers with Sonlight versus Abeka. Any input? Would like some lessons to go along with readers. Does Sonlight provide this? I have not been able to see Sonlight items in person, so have no clue. If I purchase readers only package, does the curric manual come with? @Eva, I ordered the Language Arts for our Sonlight readers. It is a great program; with its reading schedule, comprehension or narration questions, maps, suggested spelling words and spelling rules, creative writing and grammar skills – all excellent! If you visit the Sonlight website, you’ll find more examples. They have an online helper/ assistant to guide you through your order. For the full Sonlight program you would buy the History Core and a Maths, Language Arts, Handwriting, Readers and Read Aloud program. You’d need to order a Science program, Bible and any other optional subject like art or music or second language. As I re-used the cores, I simply ordered readers with their schedules and the matching Language Arts to supplement each child’s specific reading levels. Sonlight is highly flexible! I use Sonlight with an eclectic mix of my own and other subject curriculums for our homeschooling. May you continue to enjoy the journey [smile]. Thanks for sharing your tips and insights from literature-based learning. I know my family always enjoyed reading the books together too! Hi Nadene: just wanted to tell you how much I enjoy your blog. We have ordered our 2nd year of Sonlight, but after the year we have had with the decline in my mother’s health and then she passed away – we’ve just hit the 3 month mark on the current year!! However, we never could’ve had the kids in school and spent as much time with her as we did – we just brought school with us. It is encouraging to hear others say that they also stretch out the year and delve deeper when it suits them. We were all enthralled by the Percy Jackson books, so we it came time to study Ancient Greece, my boys had many “Aha!” moments, so we utilized the Ancient Greece history pocket, painted greek patterns on terra cotta pots and planted herbs in our pots like greek herb gardens…thank you for all the wonderful helps you give us so freely! They are so appreciated. When we ever get to Core D, we’ll so excited to utilize your materials!! Thanks again! @Jen, thanks for sharing your journey – the ups and downs that make up the life lessons. And aren’t those “aha!” moments the best? This is a beautiful! Thank you Nadene. I too have been finding it best to stick with themes and letting ourselves follow interesting side trails. I don’t have an out of the box curriculum, but I do have material that gives us a structured base line from which to stay/stray. At the beginning of this year I pondered about the balance between freedom and structure and Susan Schaffer McCaulay’s book For the Families Sake ironed it out very clearly for me. Where structure is needed and where play or freedom is needed. her whole book is great! I love the plan you have to stretch your materials past 12 months into 18 months. What a great way to save money, and really let your girls get into the subject. We homeschool year round and I have planned that into my schedule as well and it is so freeing to realize we have time, more time for the ideas to connect and make relations, more time to soak it all in. I too have come to learn that the goal is not to fill them with info, but to develope interest in ideas and learn skills for further learning. I use the lessons as tools and let the info seep in as they need it. Spreading it before them like a feast and seeing and taking note what they eat. My boys know my purpse is to teach them obedience, attention and perfect execution not to know all about the butterfly and recite the poem perfectly though I do believe that if they obey, follow directions, pay attetion and do their best this will happen. I just love the thread I hear in your posts all the time and that is that you try to use what you have on hand. It reminds me of something Charlotte said, that once you know the goal of teaching, then all of life becomes a useful tool in the teachers hands. Thanks for encouraging me today in a mirad of small but very important ways. Hi Sarah, and thank you for confirming so much of what is in my heart! Susan’s book is a treasure! Your family is so blessed to have such a wise and sound education! Hi there! Just wanted to let you know that this is encouraging! Our first year of homeschooling, and Sonlight is coming to an end. We found the 3/4 Core a bit pressured. I wannted to spend a little more time in a few areas, and it took me a little time to get out of the check the box mentality, and realize that I was truly in charge! It is also hard to start homescholing in the middle of elementary school. It is amazing how little you know about your child’s knowledge base when someone else is responsible for teaching them. I knew grades, and saw a few papers, but didn’t really know where she was in several subjects. Comments on the Sonlight Forum indicate that Core 5/F is one that people feel pressured to move through as well, so I’ve been thinking and praying about planning intentionally to spin it out a little. I really appreciate your encouragement! I am also thinking of using Sonlight later on for our boys (now 3 and 5yrs respectively), but first want to lay a strong Afrikaans foundation, as it is our home language. I am not sure how to do it. The idea was to do Afrikaans, Maths (MUS) and Life Orientation (?) for the first three years and then start with Sonlight, on a lower core (A or B) in my oldest’s fourth year – or gr.4. Then we will continue with Afr.and maths separately, wile Sonlight covers general knowledge and 2nd language reading and literature. But then another HS mom suggested we start with Sonlight from scratch, just don’t do the readers, and still do the Afrikaans and maths. I am scared it might be too much. We are slowly starting with my oldest now (gr.R), because he is very eager to find out about things. We’ll wait with reading and writing though. Oh, and I would also like to use Little Footprints (have the manual) and later on Footprints as well. When do I incorporate these with Sonlight? @Elize, having used both Sonlight & Footprints and re-used them all a 2nd time, I would recommend you first gently move onto Little Footprints. Several reasons: 1. It is relevant to South African history and culture which you and your children can actually visit and enjoy. 2. Local libraries, museums and nature sites will have experts/ guides or tours which will greatly add to their learning experience. Footprints is a wonderful literature-rich journey with a fairly easy schedule. Then go onto Footprints on our land. Many books are also available in Afrikaans. May I suggest that you don’t have to rush. Stretch out your schedules and enjoy the books, hands-on activities and outings to the max! We took 18 months on almost all our curriculums (even Sonlight) and I have not regretted it for a moment. You can then tackle Sonlight’s more strenuous schedules and read alouds (without having to start from scratch) because your children will already have formed good listening and narration habits with Footprints. I have 4 chldren ages 5,10,13 and 14. Just started with homeschool this year. Using Sonlight has been a bit overwhelming to me. I am 4 months into this and only on 2 out of 10 us history books 😦 I have to show proof of work so along the way I am making quizes and test for my 13 and 14 year old. I have read that some peolple spread out Sonlight over 2 years ( 1 year being 36 week school year) I am having a hard time not checking the boxes off. I guess I would just like some input or suggestions. @Jennifer, you can certainly relax and let the Sonlight schedule be a guide rather than your timetable! Whether you take 2 years or longer, or whether you use every book in the Sonlight package is up to you and your kids! Perhaps you could focus on the main history book (spine) and add the read alouds as you go. I stopped for much longer on certain themes, went on with our own research, reading, and then came back on to Sonlight. You can fairly easily catch up other books and subjects. Instead of quizzes, have you tried narrations? This an excellent method Charlotte Mason used instead of tests. The child tells you what they know and remember from the reading. The “telling back” can be oral (great with even your youngest child) to start, then dictated and finally written, or illustrated, or built, or acted or recorded themselves. Narrations force the child to listen attentively and express what they understand. It is extremely effective! Add hands-on activities! It is fun! The kids love and remember these much more than quizzes or even their narrations! Maybe add a lapbook to a theme? Find suitable YouTube video. My kids still remember how to count in Japanese from a short video I let them watch just “for fun”! And when all else fails, just carry on reading aloud! Sonlight’s books are brilliant, and even if you have “nothing to show”, your kids will learn so much! Thank you so much for the information. The ideas are a great idea and I will definitely use them! !